A few months ago we published a detailed article about the young chess talent GM Le Quang Liem and as we predicted since then he just does not stop winning. His last success came this Wednesday, when he conquered the top Russian open – Aeroflot Chess 2010. 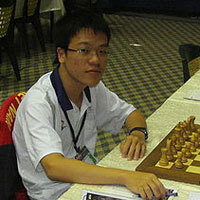 In the presence of 80 GMs and IMs over 2550 ELO, Le Quang Liem finished with 7,0/9, half a point ahead of competition. He started with 3 important wins against some of the top players of the event – GM Ragger, GM Bacrot, and GM Bu Xiangzhi. Keeping a stable performance he drew with Topalov’s second GM Ivan Cheparinov, with his fellow friend GM Nguyen Ngoc Truong Son, with GM Boris Grachev, and with the Corus B participant GM Naiditsch. With a final sprint and victories against GM Savchenko and GM Nepomniachtchi, Le Quang Liem became the sole winner of the event. The final tournament performance was also impresive – 2872! The success of Le Quang Liem completes a strong month for him in Russia – he shared first position in Moscow open and with the victory at Aeroflot he has qualified to the Dortmund 2010 competition. Among the women players at Aeroflot GM Yifan Hou, GM Tatiana Kosintseva, and IM Nadezhda Kosintseva shared places 45-64 with 4,0/9. IM Javakhishvili and GM Sebag were a point behind with 3,0/9. The 16-year-old So, the Philippines highest-rated player with an Elo of 2656, made a short draw in the ninth and final-round match against Venezuela’s GM Eduardo Iturrizaga (Elo 2616) to finish in a tie for 7th to 19th places with 5.5 points on three wins, five draws and one loss in nine outings. After the tie break point was applied, the 2009 Corus C champion Wesley So finished 11th in the final standings. This guaranteed Wesley So the top junior position and the junior champion title. In group B, IM Pridorozhni, GM Glek, GM Dvoirys, IM Pavlov, and GM Panarin finished with 6,5/9 and shared the first position, with the gold going to IM Pridorozhni on better tiebreak.